An HCG Diet doctor prescribes only the highest quality HCG injections direct from regulated US pharmacies. The provided HCG Diet guide outlines the specifics of the program to facilitate rapid weight loss. A doctor who recommends HCG drops or pills does not follow the original HCG Diet protocol. You want to find an HCG Diet doctor that prescribes HCG injections as they are the only real form of pharmaceutical HCG. You will also achieve better and longer lasting results with HCG injections than with homeopathic HCG preparations. If you have tried other weight loss programs in the past that did not work, you know how frustrating the process can be. You give up your favorite foods for limited results and often gain back those pounds and more. That is why turning to doctors who prescribe HCG Diet for successful weight loss is the best option. Here, you will follow a regimented plan that leads to improved fat-burning and a trimmer body. Rapid weight loss from a low-calorie diet can result in loss of essential muscle mass and structural fat. When the body senses starvation due to reduced food intake, it holds on to visceral fat for emergency use. Instead, it signals the pulling of calories out of the structural fat and muscle that your body needs. Thanks to working with an HCG Diet doctor, your body will burn through that stored fat. You will maintain muscle structure and develop a lean and toned body as the pounds melt away. Professional guidance is a crucial aspect of the HCG Diet. Having an advisor whom you can contact by phone or email whenever a question arises helps you stay the course. The goal you set for your weight loss is the same goal Weight Loss Medical Center will help you achieve. You can choose a local doctor where you will go in for regular appointments to track your process. Your other option is an online national HCG weight loss clinic where your consultations will be by telephone. In case you were wondering when looking to find an HCG Diet doctor, cost will be lower with the national clinic. Why the price difference? Simple – no office visit fees. You can save both time and money by choosing a national clinic. 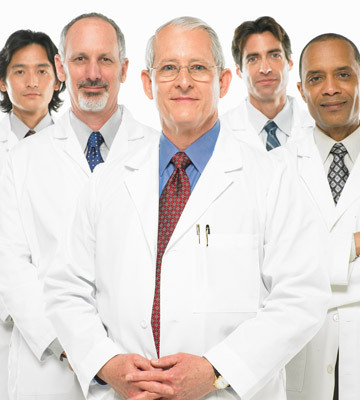 How else does an online HCG doctor differ from going to a local weight loss center? If you value your privacy, a national clinic ensures that no one knows what you are doing to lose weight. You will not be seen entering or leaving the doctor’s office or pharmacy. All medications and supplies are discreetly shipped to your door. An HCG Diet doctor understands how carrying around extra weight can affect your life. We treat every person the way we would want to be treated – with care and respect. When you are ready to lose weight and keep it off, turn to Weight Loss Medical Center for a free consultation about the HCG Diet.